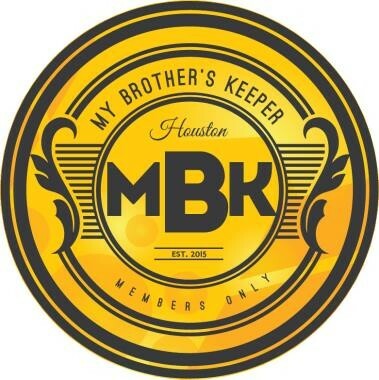 The My Brother's Keeper (MBK) initiative aims to address inequitable conditions faced by our city's youth, particularly boys and young men of color. 4Youth Voice aims to provide everyone with the tools and information needed to properly educate and motivate our next generation of leaders. 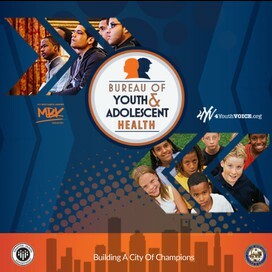 Together as the Bureau of Youth and Adolescent Health, MBK Houston and 4Youth Voice is here to serve youth, adolescents, parents, communities, and businesses in the greater Houston area. 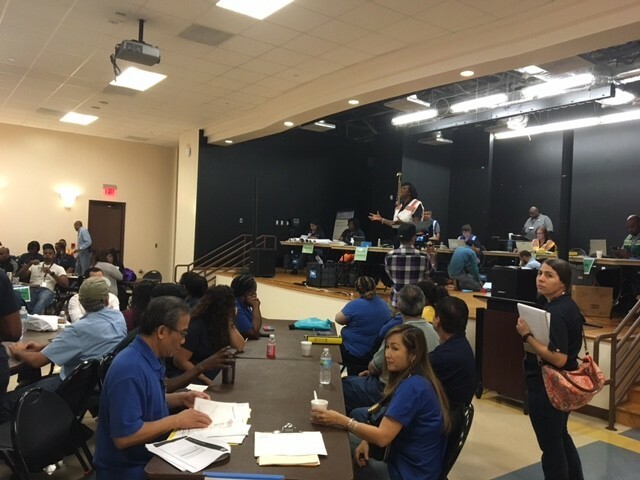 MBK AIM 2016 took place from May 4th to 6th this year and it was a huge success. 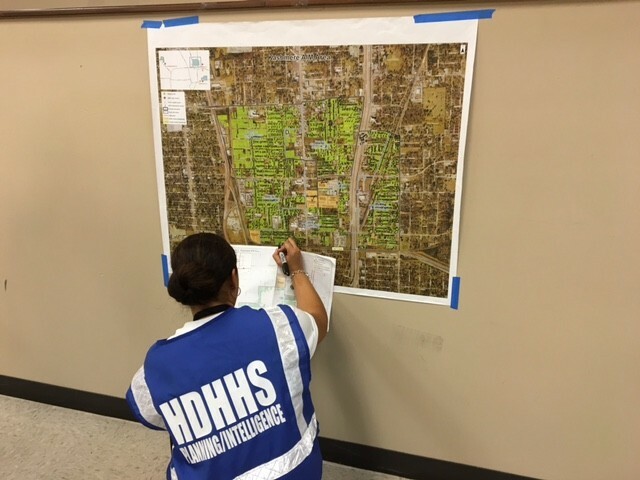 Houston Health Department employees along with volunteers got the opportunity to touch many lives in the three MBK feeder pattern areas of Kashmere, Wheatley, and Scarborough. 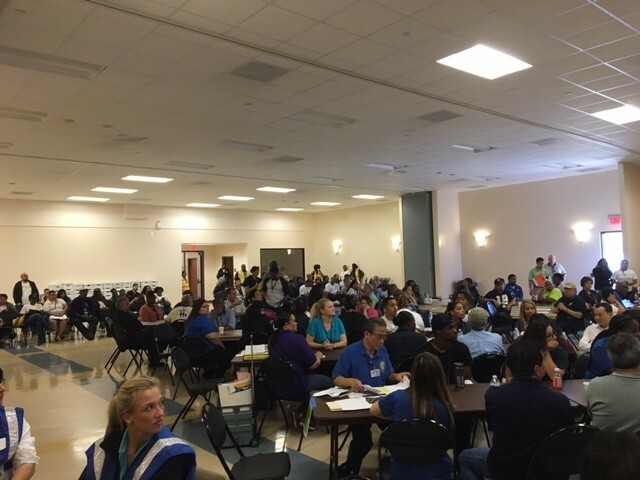 MBK Houston hopes to be able to share the impact of the MBK AIM in the near future. 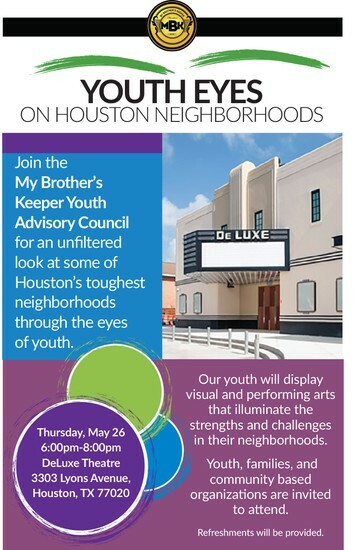 Join the MBK Houston Youth Advisory Council for a night of visual and performing arts that illuminate the strengths and challenges in their neighborhoods of Kashmere, Wheatley, and Scarborough. Everyone is welcome to attend. Please feel free to share this event and flyer with everyone in your network. Please RSVP with Dixie Sasu via email, dixie.sasu@houstontx.gov or 832-393-4728. 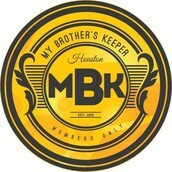 My Brother's Keeper Houston is now officially on LinkedIn. Created as a company page, LinkedIn users will now be able to follow the page and get updates about the movement easily and effectively. 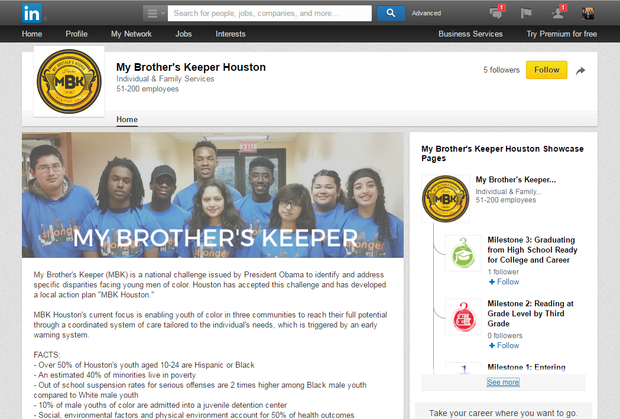 MBK Houston has also created showcase pages to highlight the work that each of the six milestones is doing. If you are interested in a specific milestone(s), please be sure to follow the respective showcase page.